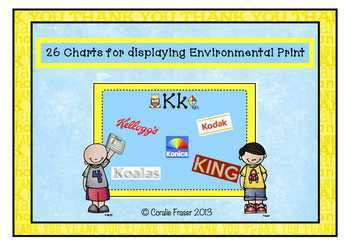 Use this set of 26 posters to encourage your littlies to become conscious of environmental print. 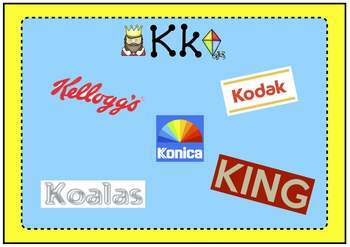 Ask them to bring in words that they notice on their cereal packets, magazines, product labels etc and attach them to the correct chart. Where appropriate discuss where they found each word. 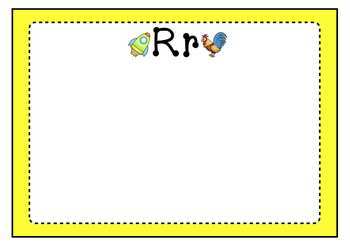 Conversely they can be used as charts on which the children record their favourite words. Please note there are 2 files. 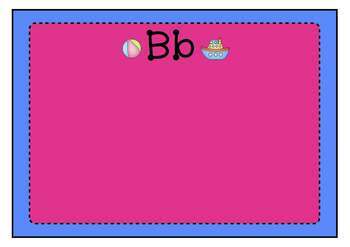 One is in full color and the 2nd one contains a white background to reduce printing costs. Please let me know if you would like any changes made. Love having you stop by! Love even more having your feedback!